Senopati Penthouse at Senopati Raya 44A in Jakarta is located in a prime location close to Sudirman CBD and enjoys both views of vibrant cityscape of Jakarta and the vast green areas of Senopati, during clear weather Mount Salak and Gede Pangrango can be seen in the background of the city. 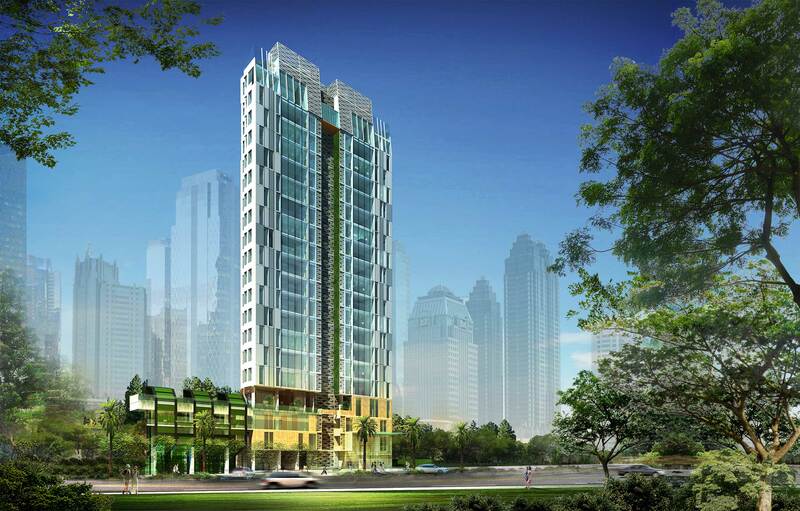 Offering CBD living, the tower will also include secure underground parking, swimming pool, sky lounge on 21st floor, and exclusive Senopati Skin Center and Beauty Spa on the podium. The 18,500m2, 21-storey, 54-unit tower consists of 2-bedroom, 4-bedroom apartments and a penthouse. Each apartment is designed with high ceiling living dinning area orientated to maximise views.